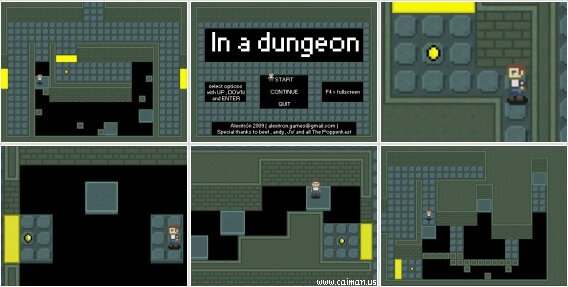 Caiman free games: In A Dungeon by Alexitron. You are in a dungeon and you don't know why . GET OUT ! . 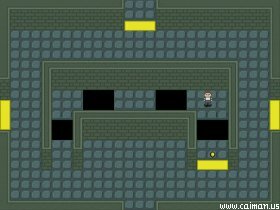 The goal of the game is very simple , there are 21 rooms that you can go to in no particular order . There is a crystal in every room that you must collect , collect all 21 to activate an elevator that will (maybe) take you out of the dungeon . 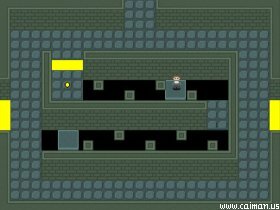 This is a platformer but you can actually walk around in all 4 directions . There are no enemies , just walking , jumping and collecting crystals . Sound but no music. Fixed a very touchy collision issue between player and hole.